They may be cute and cuddly but they’re taking over your house. Now is the time to organize and corral your child’s stuffed animal collection with these smart, stylish and genius stuffed animal storage ideas. 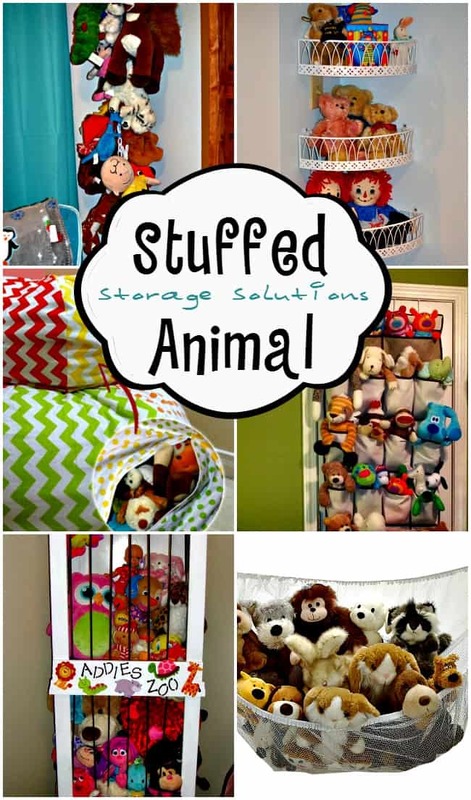 If you are reading this then I bet you are looking for stuffed animal storage ideas. If your kid is like mine then they have one, no about 50+ too many stuffed animals. What is it with kids and stuffed animals? Although I’m pretty sure I had a few too many in my day as well. I have a new rule in our house though. If it can’t fit in our organization it has to find a new home. Whether that be donated so that another kid can love on it or where most of them seem to go, to the grandparent’s house. Sorry, mom! 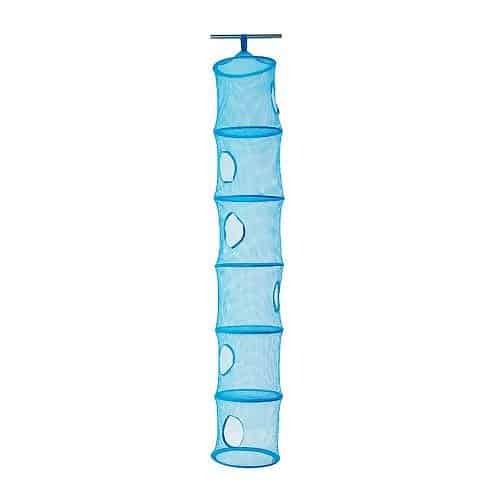 We have two of these which hold 20 animals apiece. That is 40 stuffed animals at any given time. That is more than reasonable right? Growing up I used this same organizer for storage for stuffed animals. It worked great for me as a kid with my beanie babies and like a good recipe I passed it on to my daughter. 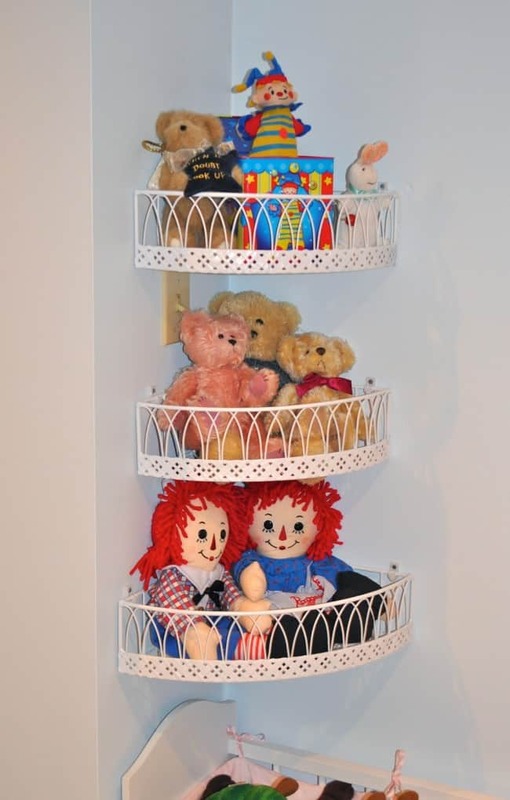 Of course, the chain gang toy organizer and the toy hammock for stuffed animals both require hanging some hardware and maybe those options just aren’t for you. I found even more great ones that I thought I would share too. 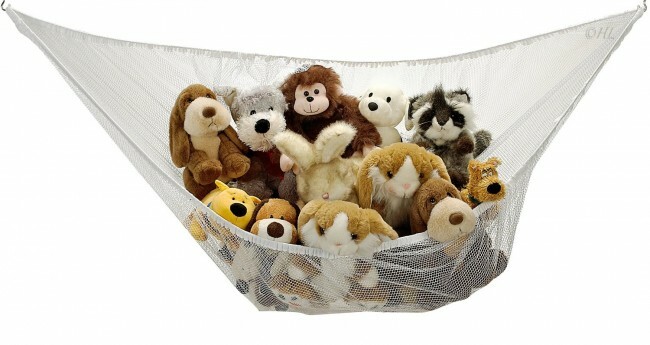 This zoo stuffed animal storage, built out of wood and bungees is a genius and simply adorable idea. The Keeper of the Cheerio’s also made one for their son that was geared more for a boy. 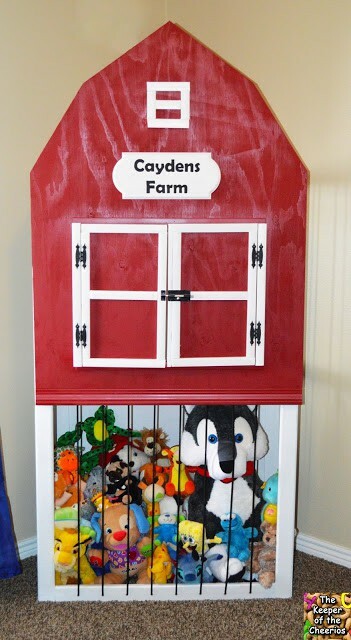 How stinking cute is this DIY stuffed animal storage barn?
. It would be perfect for any little-stuffed animals. We seem to collect a lot of the little ones from various places we visit on vacation. These wire garden baskets would make great stuffed animal storage and it makes for a charming decor piece for the playroom as well. 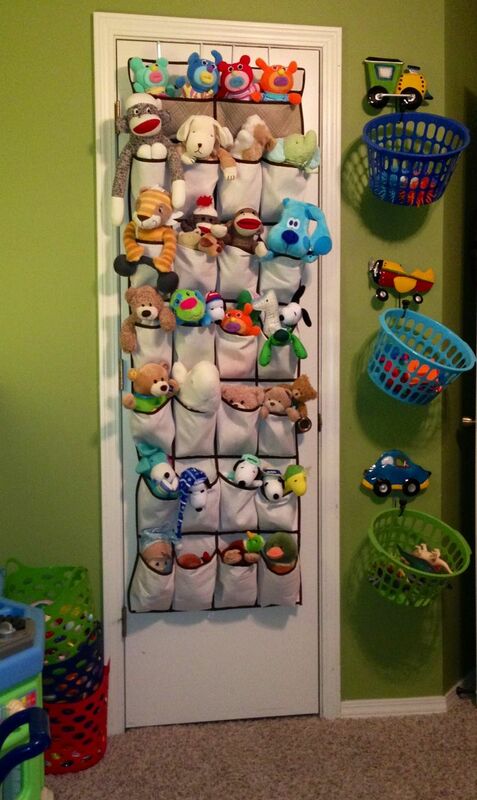 This shoe organizer would be another great idea for small stuffed animals. We used one of these for Barbies and it worked great. 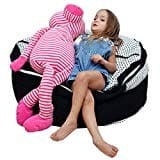 If you are looking for a clever way to hide them out of sight but still easily accessible, then you can’t go wrong with the stuffed animal chair from the Thread Riding Hood. Plus she shows you how to make it. 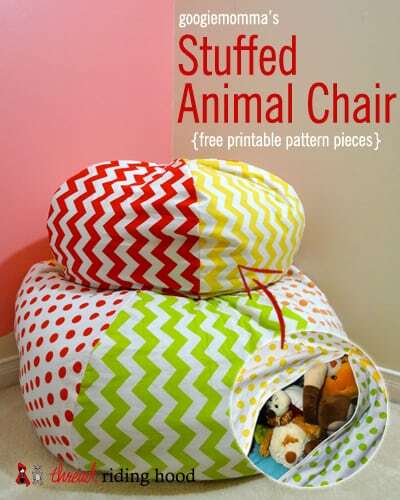 You can even buy stuffed animal chairs now too. Lastly, if you just have a seriously huge stuffed animal storage problem go ahead and throw them away. I kid, don’t actually throw them away but you can throw them in a trash can. 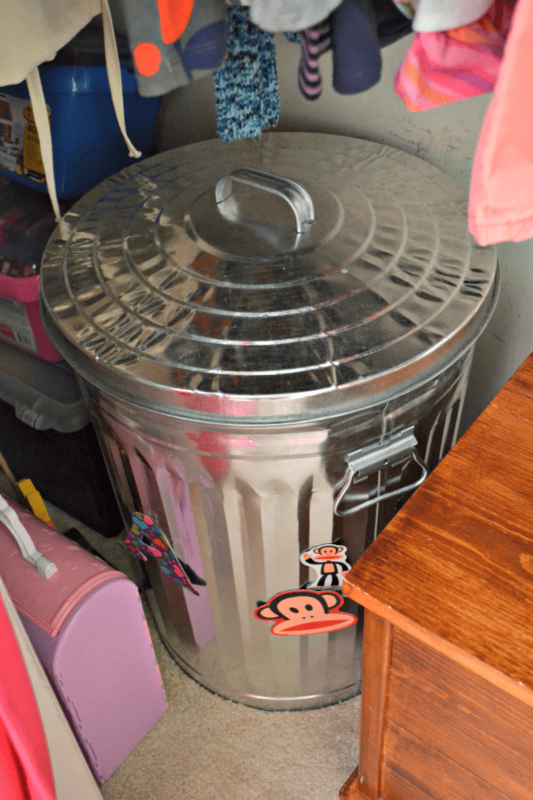 We used a metal trash can to store all of my daughter’s dress-up outfits, purses and shoes. They could hold a whole bunch of stuffed animals and it makes for a quick pick up too. 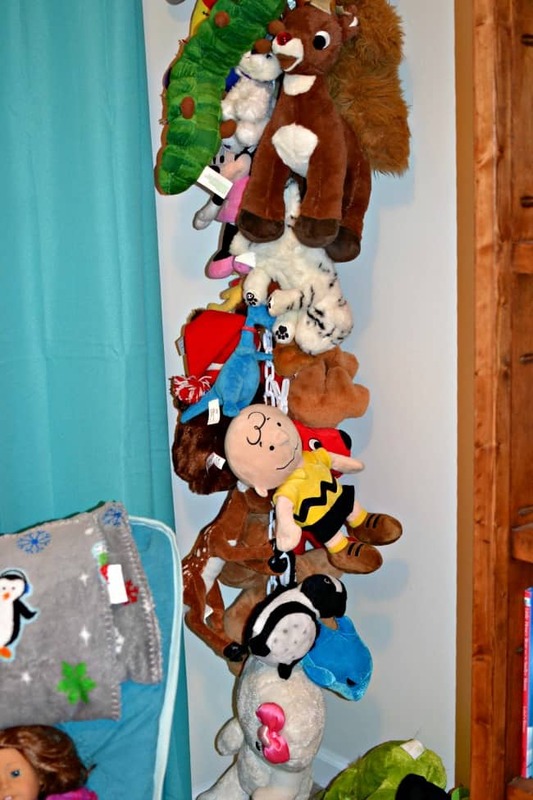 If you are needing stuffed animal storage ideas then you may also need storage solutions for even more toys. Be sure to check out my post on how to organize kids toys. How to organize your nail polish collection! Lol…. It is a problem in our house. We only have 1 child, it shouldn’t be this crazy.